This small rover allows you to become a sci-fi scientist exploring the undiscovered under your bed... or in the kitchen? Anywhere, where is Wi-Fi signal. 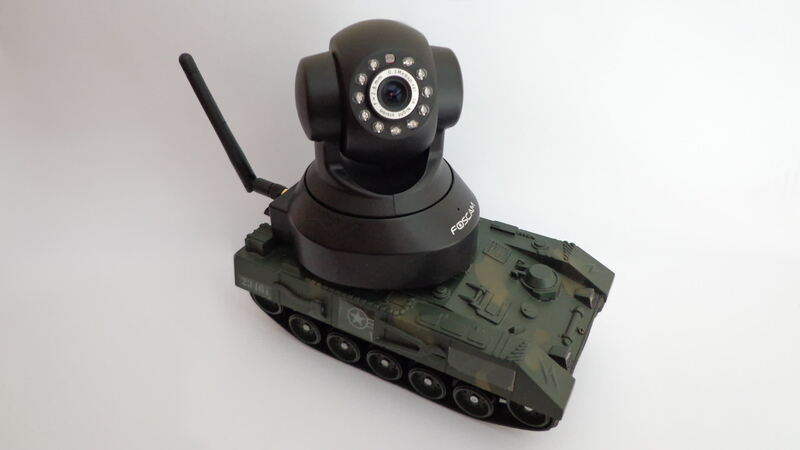 IP camera is streaming video and sound to your computer and although it doesn't move fast, it can ride over small obstacles, like door thresholds. But spying someone is not an option because it's quite loud and... well... noticable! 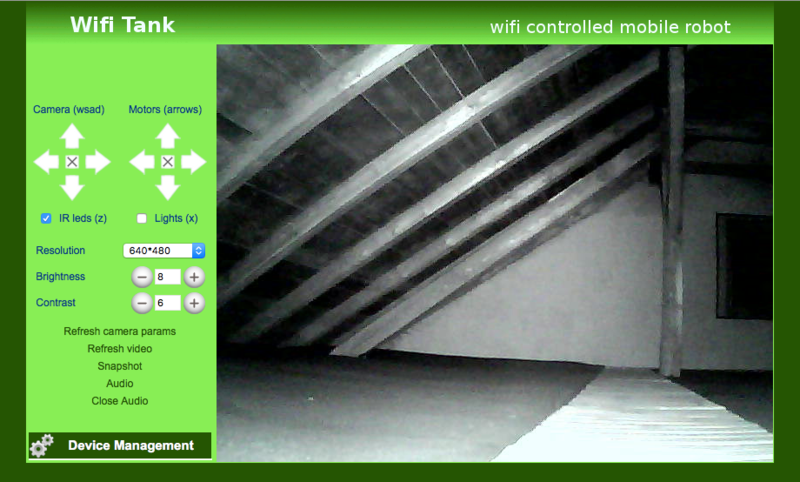 You can control Wifi Tank from any common web browser on a computer or even a mobile phone. But because mobile phones don't have a keyboard, the control on them is a little bit climsy. 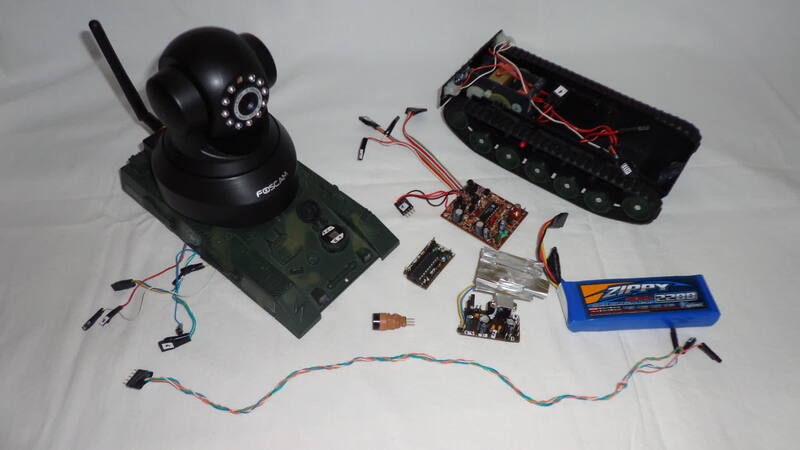 Wifi Tank is constructed from Foscam FI8918W IP Camera with my own firmware, old radio-controlled tank and it's control board, logic board with Attiny2313, power board, Li-Pol battery and Li-Pol battery low voltage monitor. 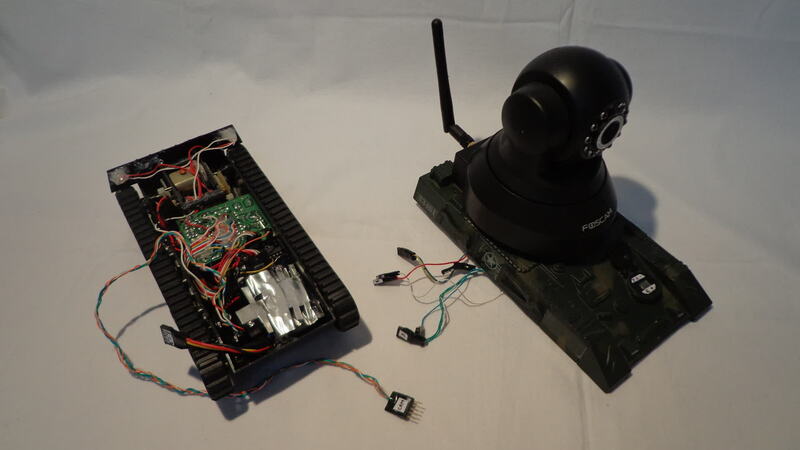 Wifi Tank was really nice project and surprisingly it wasn't that difficult to build. I have even managed to be second in the final of Czech electrotechnic contest, where I have presented it. 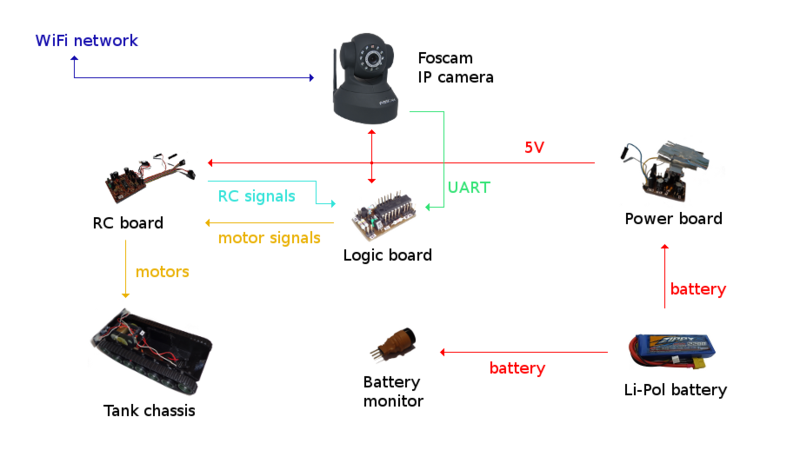 If you want to look at firmware of Foscam FI8918W IP Camera, you can download it here. But that is the only documentation, that I have for this project... please don't judge me!